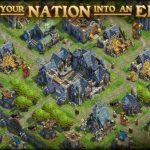 Building the perfect base is one thing, but then again, in DomiNations, there are many ways in which you can come up with the ideal layout or design for your base. 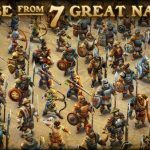 There really is no right or wrong answer when it comes to base layout and design, so if you’re ready for more DomiNations strategies, do join us as we share some of the better ways you can design your base to ensure that it’s as impenetrable as possible. 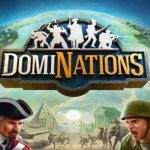 And just in case you’re wondering, we’ll be focusing on the Classical and Iron Ages for this list of DomiNations tips and tricks. There are several variables that may determine your eventual base layout. For one, the nation you’re playing as may play a role in your design – the Japanese, for instance, have a Town Center that can defend itself. If you have Acropolis, as far as wonders go, you’re already well-covered on the defensive end. A third variable would be your preferred play style – you may either be trying to protect your resources above others, but then again you may be trying to make sure you don’t lose too many medals by protecting your Town Center. What basics are these, pray tell? These are fundamental concepts that apply regardless of which age you’re in. For starters, your walls should have at least two chambers, because if enemies break part of your single-chambered walls, that will render everything else useless. Also make sure to upgrade your walls regularly, and build your first Catapult as soon as possible. Actually, this applies for any Wonder you’re using for defensive purposes. When it comes to placing Wonders, especially the Acropolis, they should be set up in a way that they affect as many buildings as possible, particularly the Garrisons. Decoy buildings are very effective in throwing enemies off, but they should be placed strategically, preferably far away in the other corner of your map. This would make it harder for enemies to get to and to destroy. For the Classical Age, you’ll want to have your Barracks in the southeast part of your map, which will keep the building further away from enemies. It also wouldn’t hurt if your resources are sacrificed in favor of protecting your Town Center when you’re placing your Catapults, Towers, or Garrisons.